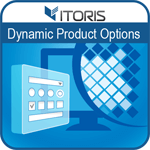 The Advanced Product Grid extension will allow you editing product attributes directly in the list of products. You will also be able to edit product images and videos on the product grid without redirects. 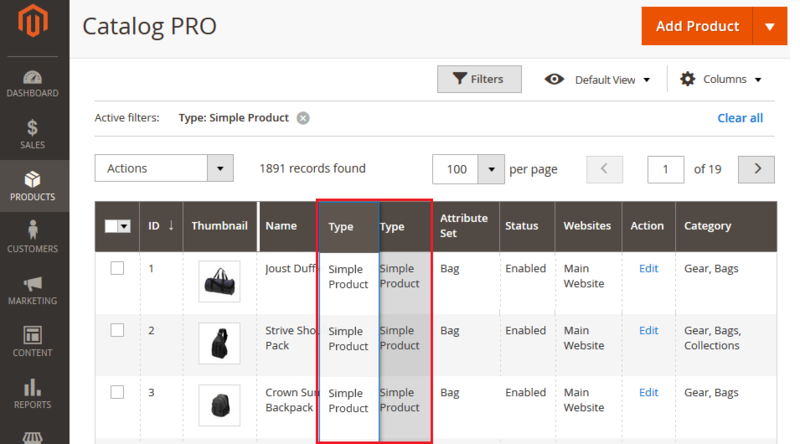 Inline editing of product attributes directly on the list of products including quantity, stock status, the attribute set, etc. Updating dozens or hundreds of products in your Magento 2 store may be time-consuming if it requires minor changes in editing prices, categories, statuses, titles, and etc. 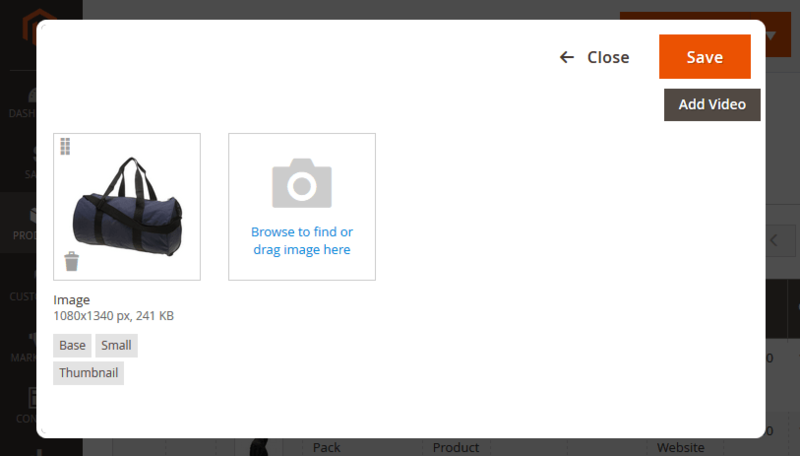 They need to be found, opened each personally, attribute tab is to be selected from the product's menu. The Advanced Product Grid extension for Magento 2 allows to perform the same actions directly on the product grid. No additional actions like opening products for editing, looking for necessary values and updating. Edit product attributes faster without any redirects and unnecessary actions. Now you can update multiple attributes together, add videos and images, manage attribute columns. Built-in AJAX and hot keys make the editing process smoother. You no longer need to open each product individually to edit titles, prices, SKUs, quantities, update statuses, visibility and categories, add images and videos. Edit product attributes directly in the products' list. The extension enables the inline editing that allows to update attributes with no extra actions. Just click a necessary attribute on the grid, make all necessary changes and click "Enter". The extension allows to update attributes of different types via AJAX. If you need to edit multiple attributes or properties together, for example categories, simply use the hot keys. You can also add descriptions, titles via the text area attribute. Just select a title for editing and enter the name in the appeared text area. 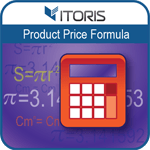 Need to update quantities, prices or SKUs directly on the grid? Hover the cursor over a necessary attribute and enter the value in input box. Want to edit the visibility, colors or tax class? Use the dropdown attribute and change the values directly on the grid. Speed up the editing process using the Hot Keys. For instance, to update and save a chosen attribute just click "Enter". After that you will be navigated to the next product. Or click "Escape" to remove all changes. Or you can use the default "Save" and "Cancel" icons available for each attribute on the grid. Now, there is no need to open each product to edit or upload images and videos. Advanced Product Grid offers you to update them in a separate popup on the grid without redirects. Add, remove or edit product images and videos faster than Magento could do. Just choose the "Thumbnail" attribute and make changes in the appeared popup. Filter necessary products via the "Filter" tool available above the grid. You can also show or hide attribute columns if necessary to match your workflow. Just open "Columns" and mark or uncheck attributes to hide them on the grid. 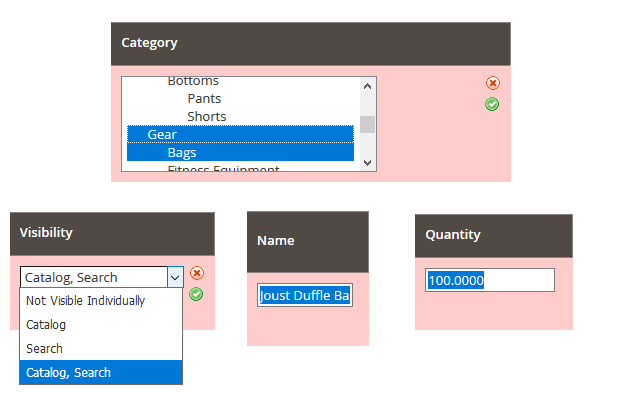 You can also change the attributes' display order by dragging and dropping products' columns on the grid. Just choose a necessary column and drop it to other place. 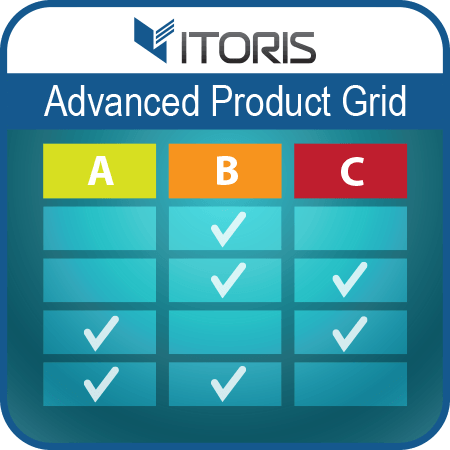 The Advanced Product Grid extension allows to update categories directly on the grid as well as filter products by categories. 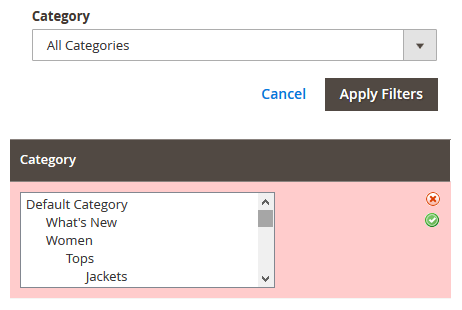 It will give you an opportunity to select multiple categories and apply to products in a few clicks. The Advanced Product Grid extension for Magento 2 allows to edit products' attributes without unnecessary actions and redirects. The extension is optimized to allow you to edit product attributes faster with minimum clicks. You can edit multiple attributes all together. The AJAX and Hot keys will optimize the editing process. 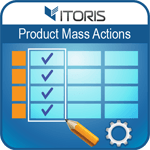 Use the buttons available per each attribute, manage and reorder columns. Now you can edit images and upload videos without redirects. The extension will make the process of attributes' updating even better and faster.